I’m passionate about trying out new recipes and scour Facebook & Pinterest almost on a daily basis pinning recipes to my boards. John never knows what to expect when I’m cooking. In fact, I’ve introduced him to quite a few new foods. Before he met me, he was mostly a mostly a meat and potato type guy and was not very adventurous at all. I’ve introduced him to the delicious world of calamari, escargots in mushroom caps, curried chicken and more! He said he was missing out all those years! I agree. I love my food with lots of flavour. 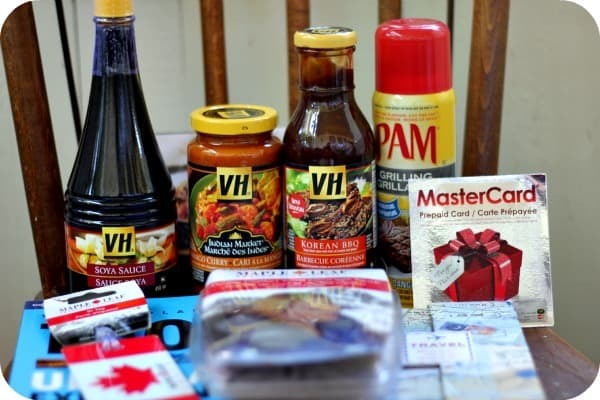 A few days ago, a package from VH arrived with two of their sauces, VH Soya Sauce, PAM cooking spray, two recipe cards, a travel journal, Prepaid Mastercard & more arrived. I went shopping the same day to pick up the ingredients for the recipes: Bulgogi & Mango Curry Chicken Quesadillas. Both sounded unique and delicious and I wanted to try them right away. Dinner on the first night was Bulgogi made with VH Korean BBQ Sauce. I’d never heard of Bulgogi before so I googled it and discovered that is basically, “a Korean dish that usually consists of barbecued marinated beef, chicken or pork”. The recipe card I had called for beef which happens to be my favourite meat out of the three anyways. I picked up some fresh sirloin at Sobey’s and was all set! The Korean BBQ Sauce really made the meal. It had a unique tangy flavour and I could taste the ginger and sesame. It wasn’t spicy like I thought it would be and added just the right amount of flavour and didn’t overpower the beef taste. I could have served it on a bed of rice, but we just ate it as is. It was a hit with the family! 1. In a large saute pan, heat 1 tbsp. oil over medium-high heat, add onions and peppers and stir-fry for 7 minutes or until tender, remove from pan and set aside. 2. Add remaining 1 tbsp. oil (more if needed) to pan, add beef strips and stir-fry until browned well, about 12 minutes. Add VH Soya Sauce, cook for one minute longer. 3. Add peppers, onions and bottle of VH Korean BBQ Sauce to the pan, heat through. 4. Sprinkle with green onions and serve. I’ve seen the VH Mango Curry Sauce in the grocery store many times, but I never picked it up. It’s part of the Indian Market inspired sauces and I’m not that familiar with Indian food so I just never picked it up. I’m so glad I was able to try it out though because I was missing out! It goes beautifully with chicken and has a sweet curry flavour that really livens up the dish. 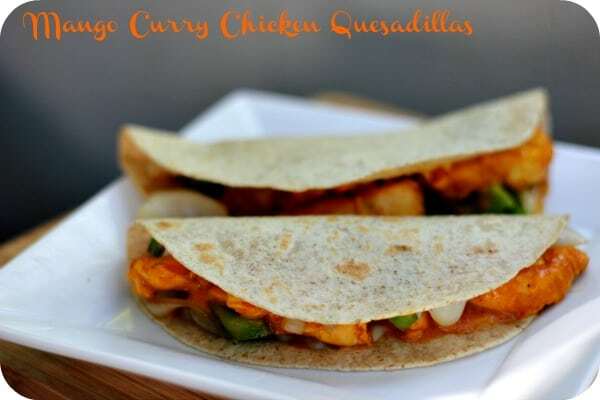 The Mango Curry Chicken Quesadillas were something new to me and I really liked them. They weren’t too spicy and even the kids liked them. Next time, I will use bigger tortillas so I can fit more of the filling in. I used the small ones and as you can see I couldn’t barely close them up! The filling was the best part so that didn’t seem to matter much anyways. 1. In a large bowl, mix the chicken with the cumin, coriander and VH Mango Curry Sauce. Set aside. 2. Spray a large skillet with PAM and heat over medium heat. Add the onions and saute until soft and light golden brown, about 7 minutes. Remove the onions and keep warm. 3. Add the green peppers to the pan and cook until soft, about 5 minutes. Remove the peppers from the pan and keep warm. 4. Put the chicken and sauce in the pan and cook until done, about 10 minutes. 5. Spread approximately 1 tsp. of VH Mango Curry Sauce on a tortilla. Warm one tortilla in a saute pan and sprinkle 1/2 cup of shredded cheese, 1/4 cup green pepper, 1/4 cup onion over the entire tortilla. Scatter 1/2 cup of chicken over one half of the tortilla. Once the cheese is melted, fold one half of the quesadilla over the chicken. Cut each quesadilla into 4 wedges. Repeat with the rest of the 5 tortillas. If you want to liven up your dinner menu, I encourage you to try out these recipes with the VH sauces. You can also find recipe ideas on the VH Facebook page. They have it set up where you can search by VH sauce, meal types and main ingredients. 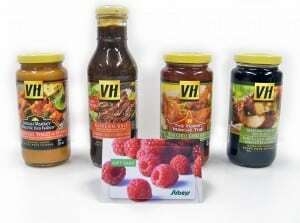 As part of this blog tour, I was able to select another Canadian blogger to pass along the excitement of trying out some VH sauces. I picked Stacey at This Lil Piglet. I’ve worked with her in the past on a few giveaway projects and I also had the pleasure of meeting her at BlogHer this year. She’s a wonderful person and has a great blog so go check it out! I am interested in trying General Tao Stir-Fry Sauce. We always try to use different sauces to change the taste of things and make it more exciting. Choose a special dessert every so often, just so that the kids want to finish their dinner and make it to dessert. One of the ways is i try to find new, quick recipes to try. Once in a while I try a new recipe. I try to include the kids in the shopping, planning and cooking of at least one full meal each wekk. Let’s them have something they like and also a little responsibility. I’d try their Asian 5 spice sauce. I try to make all meals more visually attractive. The little bit of time making each plate look good makes it better. I try adding different things to the recipe to change it around a little. i’d love to try new recipe every week to eat new things. Adding nuts to stirfry really makes it special. Almonds, cashews, sunflower seeds, etc. We always try something new each week. I use All Recipies when I need to get inspired. I’d like to try the VH® Szechwan Stir-Fry Sauce. I have a 2 year old, so dinners are always exciting at our house! But we try to change things up as often as possible, trying all sorts of new things. It’s always good to try new recipes to keep dinner exciting. I would like to try the VH® Garlic Hoisin Stir-Fry Sauce. I would like to try the Korean BBQ Sauce. I troll the internet for new recipes and lately I have found some great ones on Pinterest. It is more exciting for me when hubby cooks!!! Because that is a change from ordinary!!! I would love to try this one: VH® Garlic Hoisin Stir-Fry Sauce. I love garlic! Now I’m hungry, I would love to try these samples. 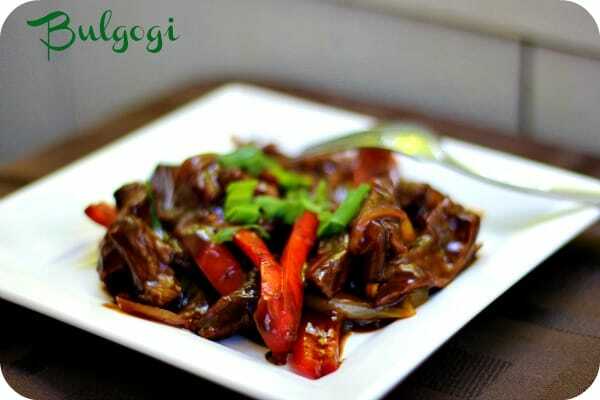 Would love to try the VH® Garlic Hoisin Stir-Fry Sauce. We make week night dinners more exciting by using our good china once in a while and serving sparkling fruit juice in wine glasses. It seems to make a dull old dinner favourite special.